The Coolant Booster Pump is used to reduce possibility of pressure drop in heating loops where there are multiple exchangers and / or long distances between heating lines. These pumps are compact in size and rival many others with their performance and capacity. 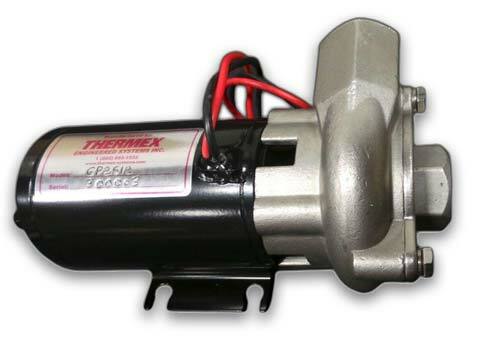 Thermex offers Coolant Booster Pumps in 12 or 24 VDC configurations. The booster pump can also come packaged in an enclosure box which protects it from possible environmental damage. (Extremes, Dirt, snow, tampering, etc). 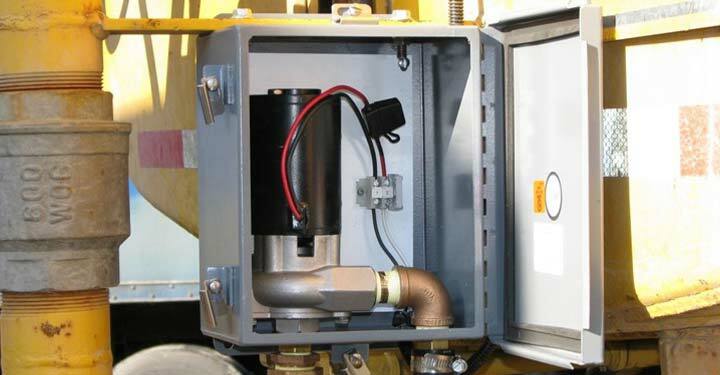 All Coolant booster pumps come with fused electrical protection.